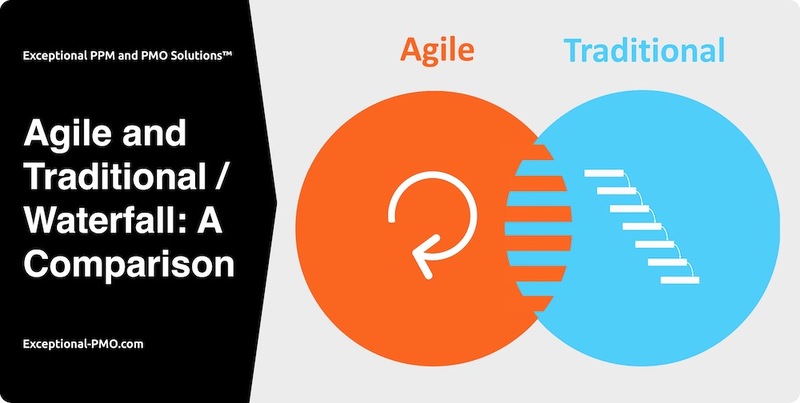 There are a wide variety of ways to develop products, and most approaches fall into one of two broad categories: agile or traditional/waterfall. A quick comparison of the two are presented in a downloadable infographic from Exceptional PPM and PMO Solutions™. The file is located here.